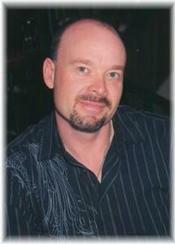 A Memorial Service for the late Jamie "James" Srochenski of Canora, Saskatchewan, will be held on Thursday, August 8, 2013 at 1:00 p.m. from the Chapel of Christies Funeral Home in Yorkton, SK. The Cremation Committal will take place at a later date. Friends so wishing may make donations in James' memory to a trust fund set up for his daughters. Cheques may be made payable to Mary Morrison. On Thursday, August 2, 2013 Jamie Josh Srochenski, James as he was known to friends, passed away suddenly at the age of 40 years. He was born on June 8, 1973. James will be lovingly remembered by his beautiful daughters, Ashley and Sabrina; his mother, Mary and father, Don Morrison; his brothers, Terry and Jason (Candace); many nieces and nephews as well as numerous aunts, uncles, cousins and friends. James was predeceased by his brother, Darcy in 2008.